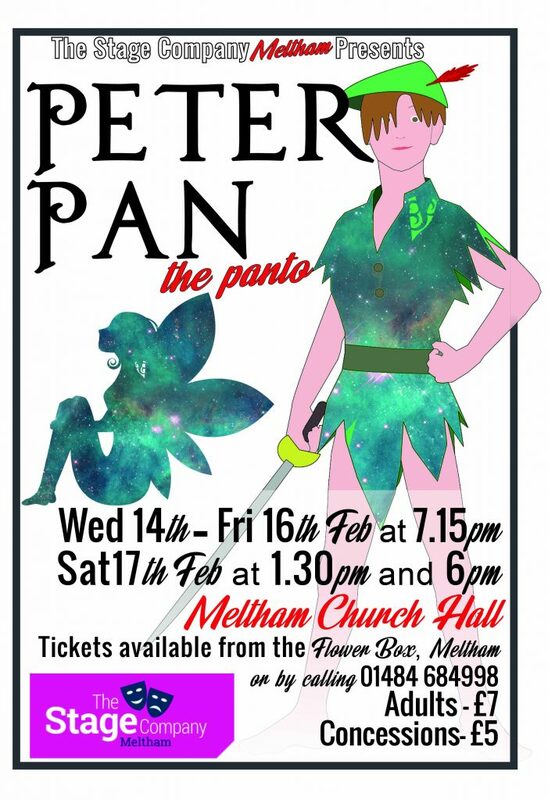 The Stage Company Meltham are happy to announce that we will be performing Peter Pan the Pantomime from the 14th to the 17th of February 2017 at the Church Hall in Meltham. Featuring some of your favourite faces from our past productions along with some exciting new ones and with our very own Kirsty Haigh in the director’s chair, it promises to be our best performance yet. Prices are £7 for Adults and £5 for Concessions (over the 60’s) and Children. 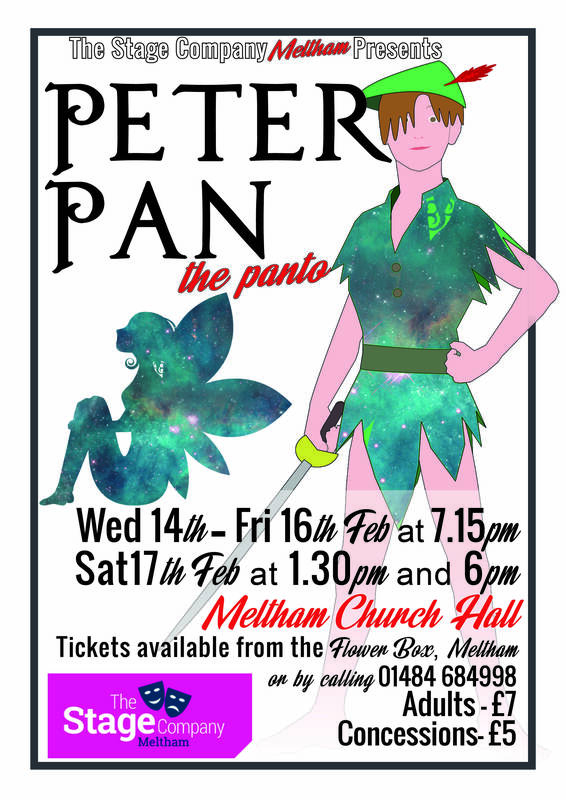 Tickets will be available from The Flower Box in Meltham from January but are available now by ringing 684998.